At opensource.com, we look at the intersection of open source and government, with a special focus on the ways governments adopt and release new technologies and can cultivate open source communities. We document the way that open source principles—participation, transparency, collaboration, sharing, meritocracy, community, and rapid prototyping—have enormous value beyond the technology sector. Citizen movements around open voting, the Freedom of Information Act (FOIA) request tracking, and even crowdsourced legislation, represent a growing trend of open source principles within government. This collection features stories about government initiatives around the world, from the first two years of opensource.com. They illustrate the impact of open source on government and vice versa. There is a long journey left and we hope you'll share your experiences with us. Copyright © 2013 Red Hat, Inc. All written content licensed under a Creative Commons Attribution-ShareAlike 3.0 Unported License. The U.S. Government promotes open innovation—Is it now mainstream? 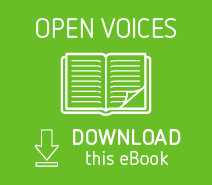 Create your own eBook using open source tools. Just follow our eBook creation guide.